Please RSVP online with the form below by 5 pm Friday, November 23rd. To RSVP directly to John Reiser by phone at (703) 780-4824, or email rsvp@afcce.org. The AFCCE Scholarship program has always been a very impactful activity of AFCCE, but its continued success relies on being able to sustain and bolster the scholarship fund. The Fall Social is the major fund-raising event for the benefit of the 501(c)(3) Fund. Each year, the Scholarship Fund supports students enrolled in accredited engineering programs at universities throughout the country. Your support, both by your attendance and your corporate sponsorship, will strengthen this important mission of the AFCCE. Please consider being a sponsor this year. Sponsors will be acknowledged below, in our promotions of the Fall Social and at the event itself. You can reserve your seat as well as add your sponsorship below. Please RSVP by October 6th. Coaxial slot antennas are a favored design by U.S. broadcasters due to their low complexity and ability to be customized. Coaxial slot antennas currently designed and manufactured for the FCC repack should be designed with future ATSC3.0 operation in mind. Both elliptical polarization and heavy but smooth null fill are desirable for ATSC3.0. By utilizing heavy fill and elliptical polarization signal strengths can be increased in the near in coverage areas allowing better S/N ratios for data intensive applications in those areas. It is important in designing such an antenna, to ensure that the gain of the antenna is not decreased significantly compared to a traditional antenna. Design methods have been adopted that optimize the gain by minimizing radiation above the horizon. Please RSVP online with the form below by 5 pm Monday, September 17th. To RSVP directly to John Reiser by phone at (703) 780-4824, or email rsvp@afcce.org. 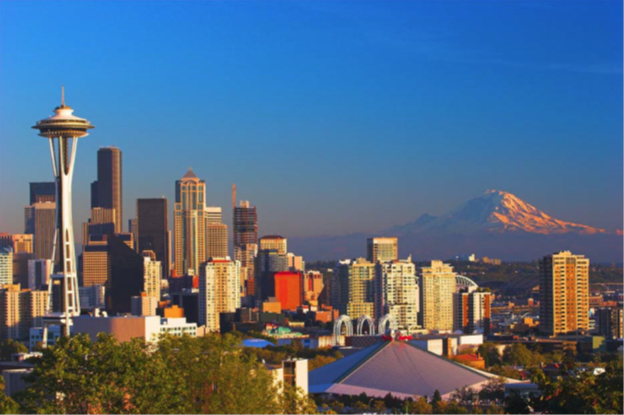 The 70th Annual Meeting was held in June in Seattle, with over 50 members and guests participating. 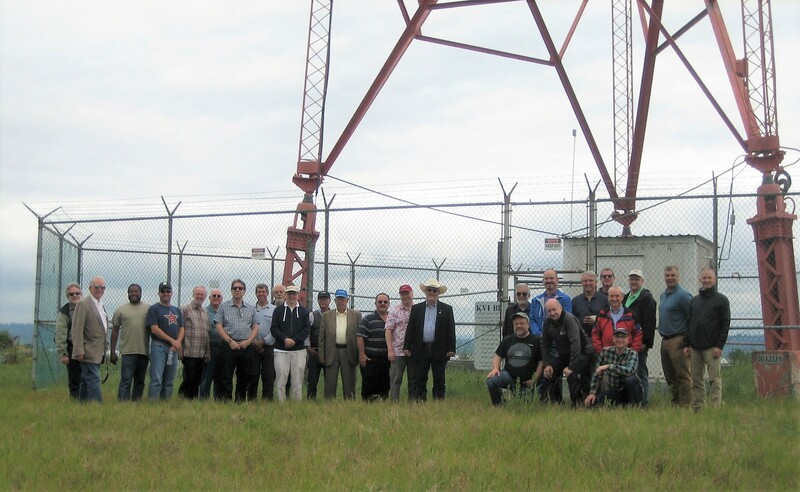 Some highlights included an inside tour of seven historic AM transmitter facilities at four sites on Vashon Island, the banquet at Palisade Restaurant at the Marina and the wonderful open house held through the courtesy of the Dawson family. We also wish to thank Steve Lockwood and his host committee for their efforts in making the Annual Meeting a great success. The staff at the Hotel Sorrento also deserve kudos for their support. The 2017–2018 Annual Report was reviewed, edited, and approved, and a PDF copy of the final version will be included with my next communiqué. Three new directors were elected by ballot of the membership, and I would like to welcome Sterling Davis, John George and Stephen Pumple to the board. John George has agreed to be Secretary as Bob Weller moves to the position of Treasurer attempting to fill the shoes of longtime treasurer Ron Chase. Thanks to Ron for his service as an officer and director over the past three years. Thanks to Steve Crowley and Marshall Cross for their years of service on the board. I want to thank Bob Weller for his jumping from Secretary to Treasurer to help with financial continuity after the resignation of Ron Chase. I also want to acknowledge the work of John Reiser and Martin Doczkat for organizing the monthly luncheons and speakers, and dedicated efforts of Marshall Cross, Chairman of the AFCCE Scholarship Fund’s Scholarship Committee. We need to secure a replacement for Martin Doczkat as Program Coordinator especially with the September 21st meeting rapidly approaching. If you are interested in this opportunity, please contact me ASAP by phone or e-mail. The first luncheon of the year will be held on Friday, September 21st at the Holiday Inn in Rosslyn. A speaker is needed. The 67th Annual IEEE Broadcast Symposium will be held October 10–12 in Rosslyn, just two blocks from the Holiday Inn. As is traditional, there will be a joint AFCCE/BTS Luncheon on Wednesday, October 10. AFCCE’s Fall Social will be held on October 11th at the Vantage Point Restaurant, atop the Holiday Inn. The Social follows the last paper of the Broadcast Symposium. The Fall Social benefits our scholarship fund and raised over $11,000 last year. We are looking to eclipse that number this year. The Annual AFCCE/FCC Staff Reception will be held at the National Press Club in Washington, DC, on November 28th from 4 to 7 pm. The FCC Reception is a popular event among FCC technical staff, and allows us to honor and celebrate with the recipient of the 2018 E. Noel Luddy Award. Please plan on joining us for this fun event. Our aim in filing comments is to provide information to help ensure that the FCC can make informed policy choices, not necessarily to advocate for specific positions. There are many issues before the FCC this year that may be suitable for AFCCE comment, but we need people who feel strongly about particular issues to draft comments. Participate! A better AFCCE requires your help. AFCCE needs its members to work on committees doing everything from helping draft comments on proposed regulations to helping coordinate the Annual Meeting. If you ask some on the board how you can help, I guarantee that you will be rewarded with meaningful tasks. So, please ask. Send me or another board member an e-mail or talk to us at a luncheon about getting involved. You don’t have to be local to DC, either. There are lots of areas where AFCCE can and should contribute, but we need members willing to help. AFCCE’s ability to serve its members and our industry is limited only by the amount of time and talent offered by its members. Please let me or another board member know if you have any suggestions to improve AFCCE or its functions. I look forward to seeing you at one or all of our upcoming events. We will all stand to toast Byron at our Annual Meeting next month in Seattle. The National Translator Association, will be establishing The Byron W. St. Clair Memorial Scholarship Fund along with the Association of Federal Communications Consulting Engineers (AFCCE). The fund will provide scholarships for promising undergraduate and graduate students at accredited U.S. universities and colleges interested in broadcast engineering. The LPTV Spectrum Rights Coalition, through its membership, has also agreed to provide funding for the NTA/AFCCE scholarship fund. Dr. St. Clair was director of research and development for Adler Electronics, founder and president of EMCEE manufacturer and installer of TV translators. Later he took his knowledge west to Colorado, and beginning in 1967 founded and was president of Television Technology Corp. in Arvada and later Larcan-TTC Inc. During his three decades in running TTC the company became the best-known supplier of TV translators. Dr. St. Clair was inducted into the Advanced Television Broadcasting Alliance Hall of Fame in 2014, and received the Jules Cohen Award from the IEEE Broadcast Technology Society (BTS) in 2017. He was also President Emeritus of the National Translator Association and was the recipient of the SBE Chapter 48 Lifetime Achievement Award in 2008. He received his PhD from Syracuse University in Physics. He leaves behind Julie, his wife of 71 years, and daughter Susan Hansen of Arvada, Colorado as well as his son-in-law, two grand children and a brother. A memorial service is planned for a date in June to be established. The growth in the number of FM translator stations has led to an increasing number of interference disputes between translator stations and full-service stations. However, resolving these fact-intensive disputes can currently be quite time-consuming. The measures proposed in the NPRM are designed to streamline the resolution of such interference complaints, strike an appropriate balance between the interests of translator stations and other licensees, and conserve licensee resources. This proposed NPRM is on the agenda for the FCC’s May 10th Open Meeting. A copy of the draft NPRM can be found here. Mr. Walke joined the National Association of Broadcasters in October 2001 as associate general counsel. While at NAB, Larry has focused his efforts on safeguarding broadcasters’ spectrum, radio issues, the emergency alert system, Equal Employment Opportunity, license renewals, retransmission consent and various advertising issues, including political broadcasting. Larry began his legal career at the Federal Communications Commission (FCC), where he worked on a broad range of broadcast and cable television policy issues during the FCC’s implementation of the 1992 Cable Act and the 1996 Telecommunications Act. In 1997, Larry became an associate with the law firm of Swidler Berlin, LLP, where he represented competitive local and long-distance telecommunications companies. Larry moved to Winstar Communications in 1999 as regulatory counsel. Please RSVP online with the form below by 5 pm Monday, May 14th. To RSVP directly to John Reiser by phone at (703) 780-4824, or email rsvp@afcce.org. This is a closeup look at the fabled “world’s first radio broadcast” event on Dec. 24, 1906. James has done a lot of research on this broadcast in preparation for a commemorative article in 2006. He has discovered many things about this event that do not appear in the history books. Interesting aspects are Fessenden’s methodology for producing a carrier wave and amplitude-modulated it in an era before the vacuum tube or solid-state devices were available. He will share a number of pictures–some never seen in print or on the Internet before–that provide additional insight into what wireless transmission operations looked like more than 100 years ago. James E. O’Neal has been involved in broadcasting for more than half a century, beginning with part-time employment at a hometown radio station during his high school years, and continuing on that basis in both radio and television operations throughout his high school and college years. 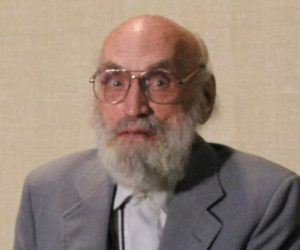 Following graduation from the University of Arkansas in 1969, he embarked on a full-time broadcast engineering career that spanned nearly 37 years, with more than three decades at U.S. Government television operations, including the United States Information Agency’s Television and Film service, WORLDNET Television and VOA-TV. James enjoys researching and writing about broadcasting history and persons making important contributions in this field. He also enjoys collecting and restoring both consumer radio and television items and commercial broadcasting equipment. He holds both commercial and amateur radio licenses and has earned SBE Professional Broadcast Engineer Life Certification. James serves as a member of the board of directors of the Early Television Foundation, and has previously served in the same capacity at the National Capital Museum of Radio and Television. Please RSVP online with the form below by 5 pm Monday, March 12th. To RSVP directly to John Reiser by phone at (703) 780-4824, or email rsvp@afcce.org.